BuzzFeed.com has a pictorial from last March titled "The 33 Most Beautiful Abandoned Places In The World." See more here! Sometimes it is fun to explore a character someone else has created. Case in point, watch what the hilarious Melissa Hunter has done on her YouTube channel with the character of Wednesday Addams as an adult. (Warning: Some adult language and situations) Enjoy! Over on ArchitecturalDigest.com, they had a recently pictorial featuring some futuristic and radical house designs. See more here! ViralNova.com ran a recent pictorial on a house I saw in one or two pictures before, but this collection of shots really ties the whole thing together, like a rug. See more here! Recently on BuzzFeed.com, they posted an article titled "The 19 Most Unnerving Spots On Earth." Read and see more here! 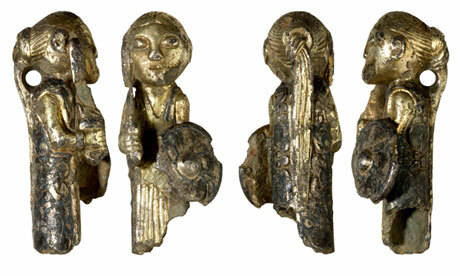 A figure of a valkyrie the first three-dimensional one of its kind, has been discovered and is on its way from Denmark for exhibition in England. See more here! 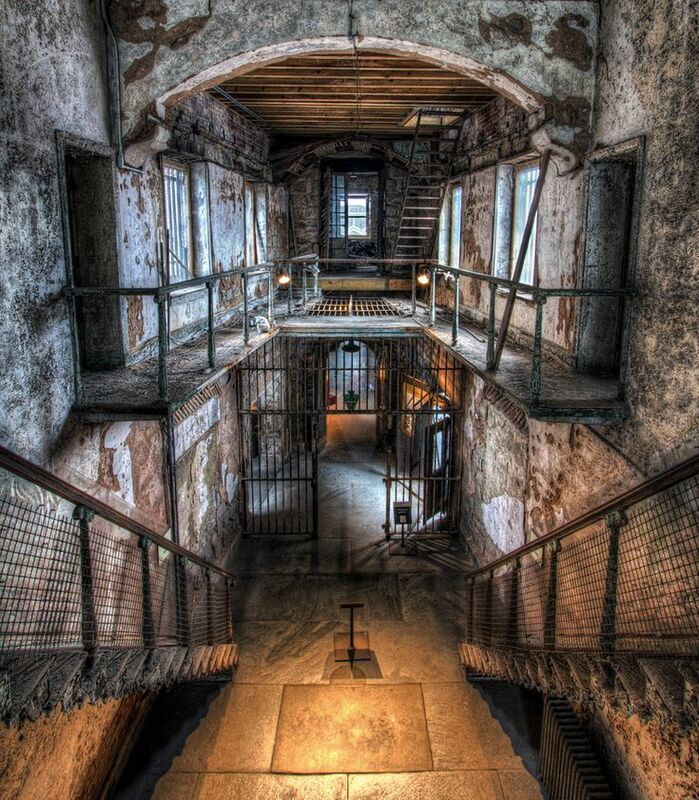 Over on the Dangerous Minds website, there is a recent article featuring a list of reasons from the 1800s that someone might be committed to an insane asylum. The list includes obvious signs like "Novel Reading" and classics like "The War." Read more here! 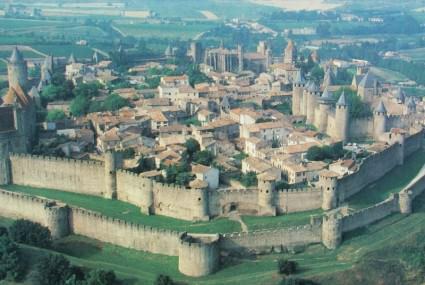 Over on the Medievalists.net website there is a new article titled "Learning by Doing: Coping with Inquisitors in Medieval Languedoc." Read more here! It's being reported around that Dung Beetles are the only other creature aside from a horse that gallops. It is certainly true that their gait is similar to that of a horse and galloping might be one way to describe it. Check out the video from YouTube and decide for yourself. Enjoy! Earlier this month, the National Geographic YouTube channel uploaded a 15 minute show on glaciers titled "National Geographic Live! : Erin Pettit: Glaciers on the Run." Enjoy! Folks are reassessing the discovery of an ancient Etruscan tomb recently unearthed near Tuscany. Read more here! 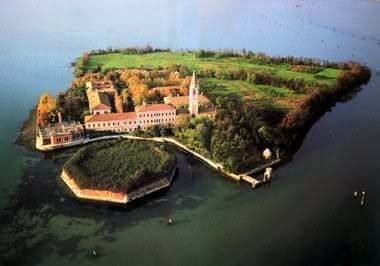 Over on the Medievalists.net website, there is a page detailing the interesting history to the island of Poveglia. Read more here! Over on Boing Boing, National Wildlife Federation naturalist David Mizejewski has gone to great lengths to quell our fears over the coming potential fictional zombie apocalypse. Read more here! There is an article from earlier this year on the Live Science website titled "Why Do Dogs Howl?" See more here! A nifty pictorial on Buzzfeed.com shows off "28 Unsettling Animal Mashups That Should Probably Never Have Happened." See more here! Over on the LiveScience.com website, a recent article reveals "Clues to Lost Prehistoric Code Discovered in Mesopotamia." Read more here! A new article on pasthorizonspr.com discussing the lime used by Vikings to whitewash their homes. Read more here! There is a pictorial over on EnvironmentalGraffiti.com titled "10 Most Incredible Earth Scars." See more here! Over on the ViralNova.com website is a recent article titled "This Guy Found a Trap Door In His New Apartment. What He Found Is Hauntingly Awesome." See more here! 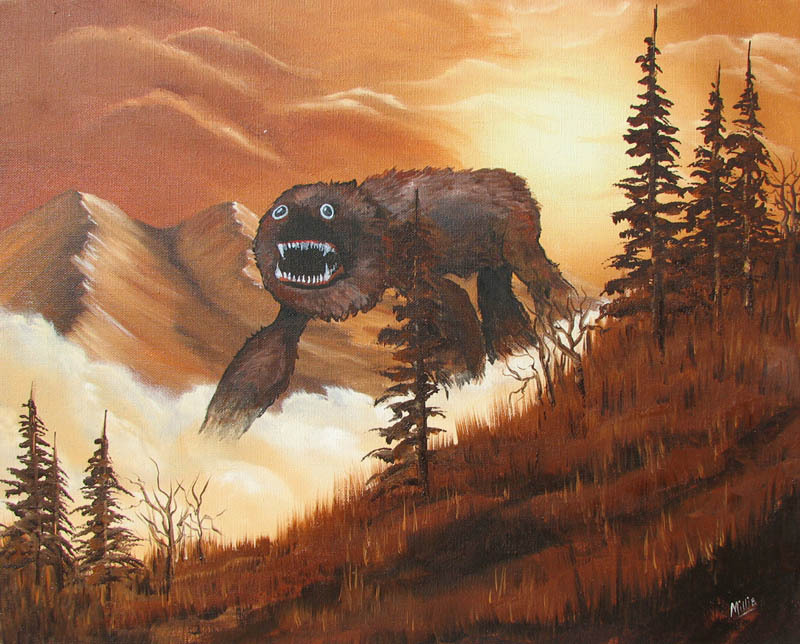 About a year and a half ago, TwistedSifter.com pointed out a couple of artists, Chris McMahon and Thryza Segal, who take old landscape paintings from thrift stores and add monsters to them. 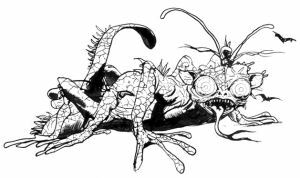 They are quite inspirational and if you have any artistic talent of your own, it might be a cheap way to add some new life to a tabletop game and setting. See more here! Anna Meyer's Greyhawk map must be seen by all. Do so here! Over on the National Geographic website, there is some discussion of a study asking "Were the First Artists Mostly Women?" Read more here! The Monster section of the Final Fantasy Compendium can be a great source for inspiration for any Medieval Fantasy tabletop setting. See more here! 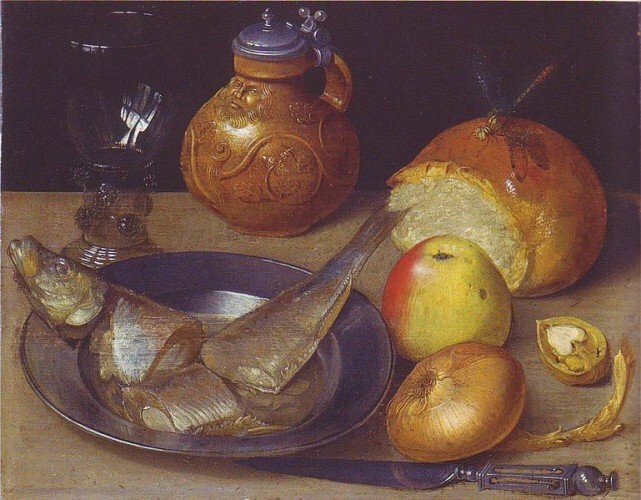 There is an excerpt from a treatise on Food in Medieval Sicily over on the Medievalists.net website. See more here! There is a Pinterest group dedicated to abandoned ghost towns and structures with some remarkable pictures. See more here! Over on bookriot.com, a recent article highlights "10 Awesome Secret Passage Bookshelves." See more here! The trick to building a temporal cloak is to place two time-lenses in series and then send a beam of light through them. The first compresses the light in time while the second decompresses it again. But this leaves a gap. For short period, there is a kind of hole in time in which any event is unrecorded. So to an observer, the light coming out of the second time-lens appears undistorted, as if no event has occurred. 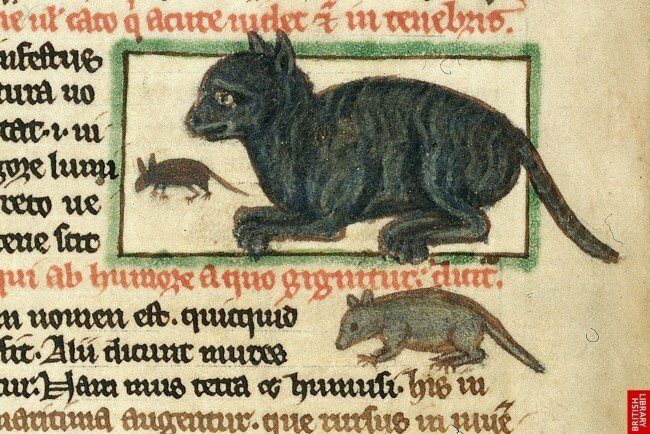 Over on that excellent tabletop setting resource, the Medievalists.net website, there is a fresh article which ruminates on the place of cats in Medieval society and what folks back then thought about them. Read more here! Some Facebook Friends reminded me recently about the existence of giant isopods and one even Shared the following video in which they are featured in a feeding frenzy along with eels, crabs, and other scavengers. Enjoy! 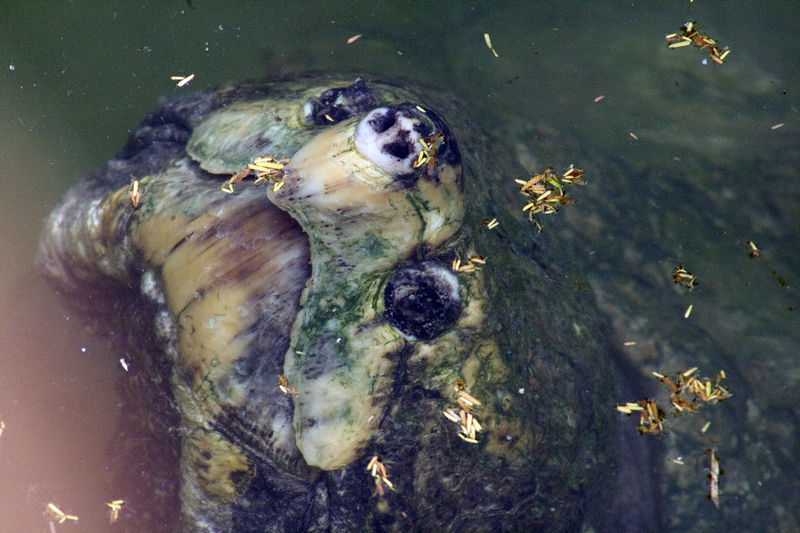 There is an article over on NewScientist.com titled "Deadly lake turns animals into statues." See more here! There is a cool video showing approximately one thousand years of mapped history of Europe starting in 1,006. See more here!